After looking through and reading this photo essay on the fridges of people from different professions in the US, I wondered what my fridge says about me when I'm not listening. Here is my pantry and two fridges. 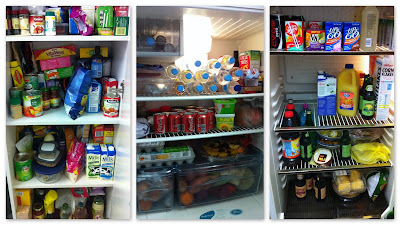 This is a 3 adult household with a software engineer, a primary school teacher and a university student.